The German government expects that by 2018 there will be around 390,000 Syrians with approved refugee status making them eligible to make advantage of family reunification rules. Currently, there are around 267,500 Syrians with approved asylum status who are candidates for the family reunification scheme but the number could rise to as many as 390,000 by next year Focus Online reports. If each person eligible were to bring only three other family members each, the number of migrants coming to Germany could increase by well over a million in the span of a year. From January 2015 to June 2017 the German government granted 230,000 family reunion visas, with Syrians and Iraqis making up 103,000 of the approved requests. The Syrian government has said they expect the number of family reunification requests to drastically rise in coming months and some have noted that the official figure only takes into account those approved and that many more applications are still being processed. In 2015 the German government took in well over a million migrants, many of them from Syria, other countries in the Middle East and North Africa. The height of the migrant crisis put enormous strain on the ability of the government to properly house the newcomers, forcing local authorities to use school gyms as makeshift asylum homes. 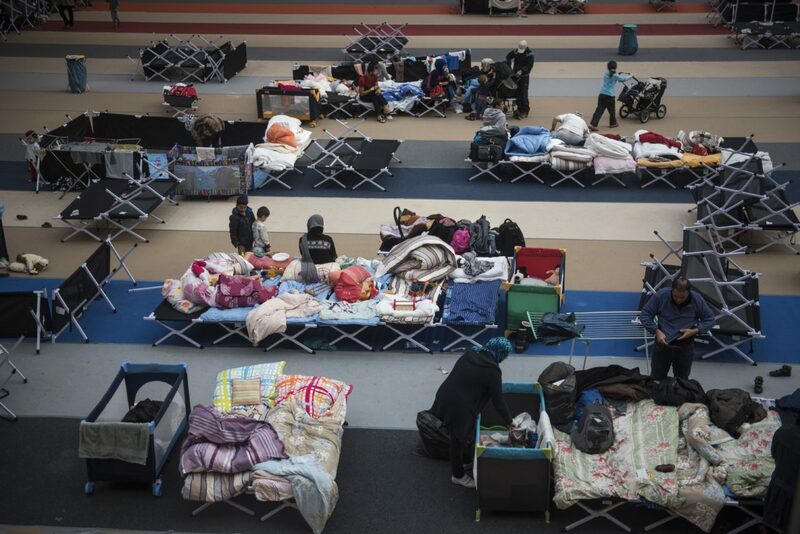 Immigrants rest on camp beds installed at the Horst Korber sports hall at the Berlin Olympic Stadium complex Olympiapark on October 23, 2015. 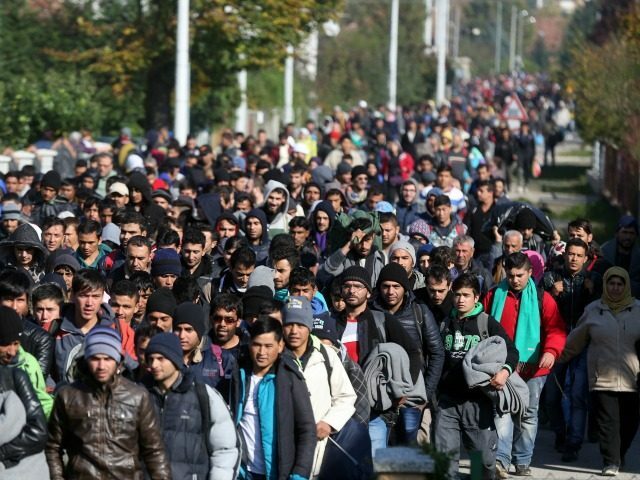 The migrant crisis has also cost the country billions of euros, including an entire years budget surplus, and despite some arguing that migrants will boost the German economy, economists have argued that mass migration will be a net negative for long term growth. An increase of potentially another million or more migrants could overload the already strained system but German Chancellor Angela Merkel has refused to put a limit on asylum seeker numbers. Recent polls show that Merkel is the most likely to win next month’s national election and although she has called for tougher stances on illegal immigration and more deportations of failed asylum seekers, her stance on an asylum seeker limit will likely remain unchanged.